Easter is coming up soon, so if you are planning to celebrate in the form of a brunch or another type of gathering, it’s a great time to start putting together some ideas. 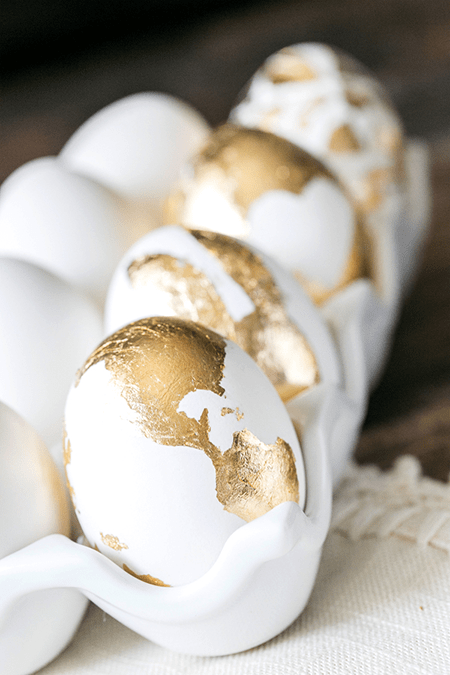 Since glamour is having its moment (and hopefully that moment lasts a long time), I thought it would be fun to look at ways to give Easter a glamorous twist. 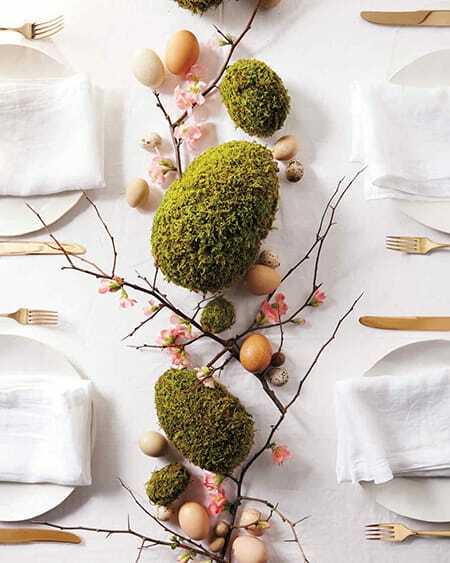 There are a lot of creative ways to give your table settings, parties, and even your Easter eggs the luxury treatment. You don’t have to spend a lot, either. With some simple DIY’s and well-chosen elements, you can easily capture a glamorous vibe for the holiday. You can also mix styles, like rustic and glamour, for something unique to you. 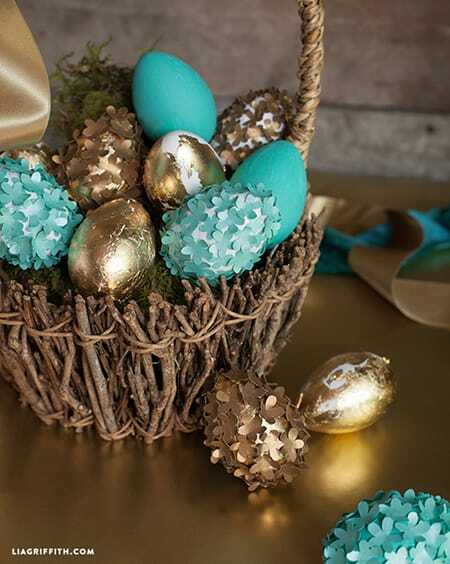 Here are 10 glamorous Easter decor ideas to inspire you, including some fun DIY projects. 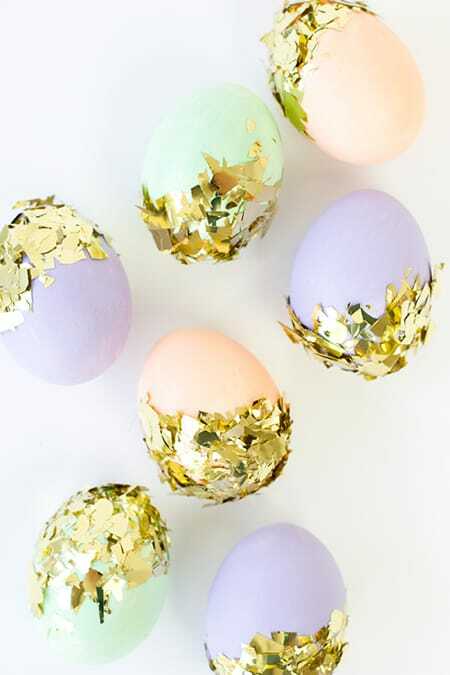 Gold leaf Easter eggs look like little pieces of art. They can showcase whatever pattern or design you want, from bunnies and hearts to a map of the world. Get creative with your Easter eggs by incorporating a variety of textures for an intriguing, luxury appeal. 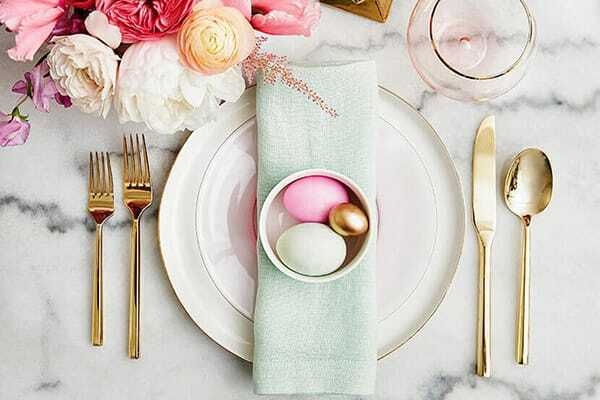 Gold silverware on a marble backdrop is the perfect accent for a glamorous Easter table setting. 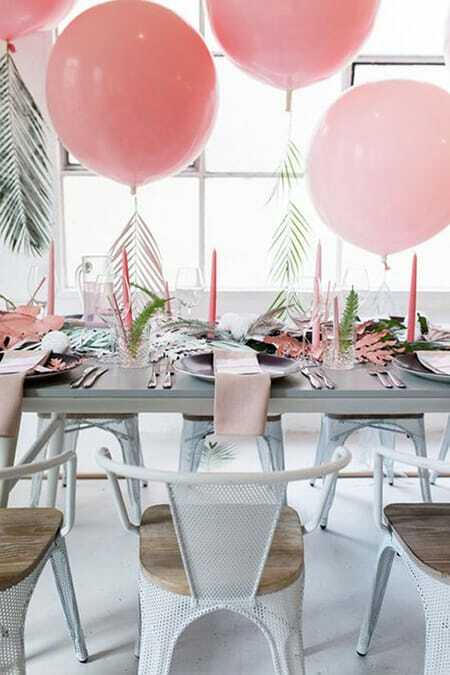 Make things festive with pink balloons, candlesticks, and napkins. The palm fronds hanging from the balloons and incorporated into the centerpiece are a nice touch for a tropical vibe. 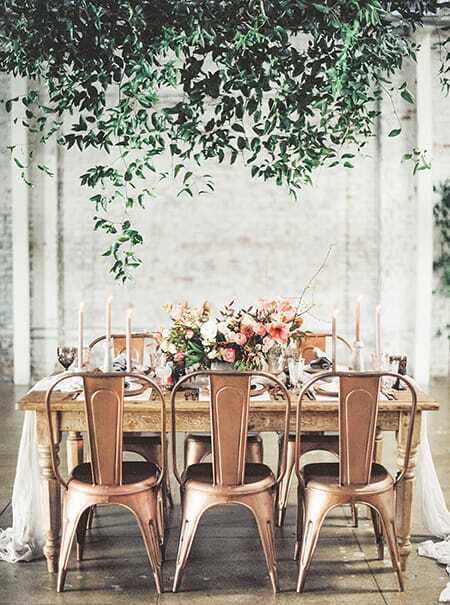 Mix feminine vintage touches with a rustic backdrop for a charming and glamorous setting. 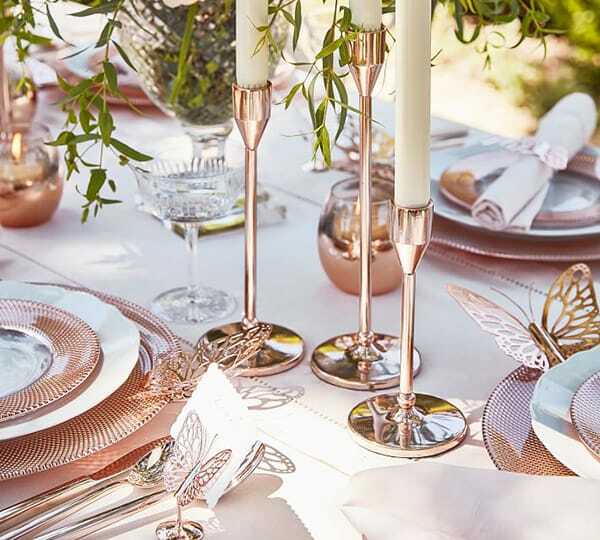 Rose gold is perfect for a glamorous Easter setting against a white backdrop. 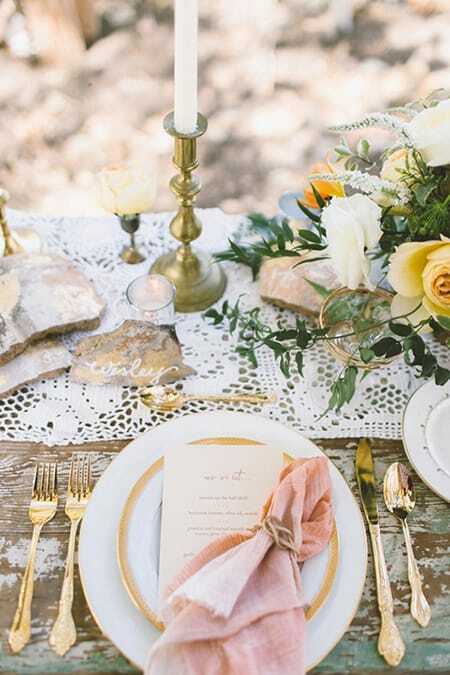 For a more rustic approach, copper is similar to rose gold, offering that feminine touch with a more vintage vibe. How beautiful are these confetti Easter eggs? It’s a fun twist on the classic pastels. This adorable Easter centerpiece is simple and elegant, yet full of charm. 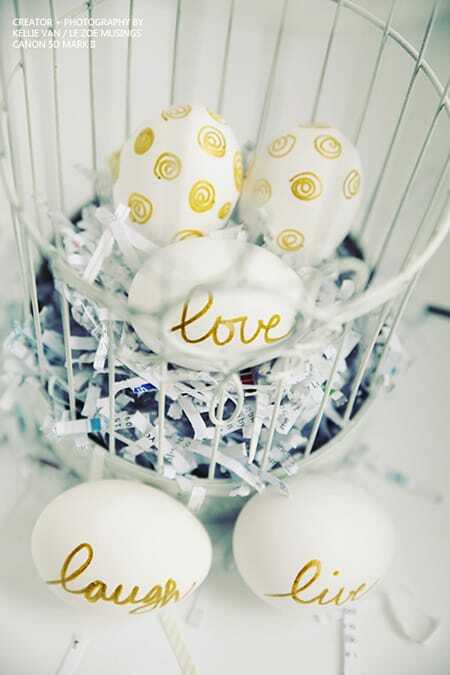 Get creative with fun words, phrases, and drawings with simple gold paint on white eggs.